Fruits and elegance on the nose, some oak notes - palate balanced and proper after taste. Old gold color. Nose is fruity and elegant with a touch of spice, evolving towards woody notes and a hint of superior grade old leather. Palate is full, with a cleansing finish. The Le Reviseur VSOP Single Estate Cognac is a blend of eaux-de-vie from the Petite Champagne terroir of the region. 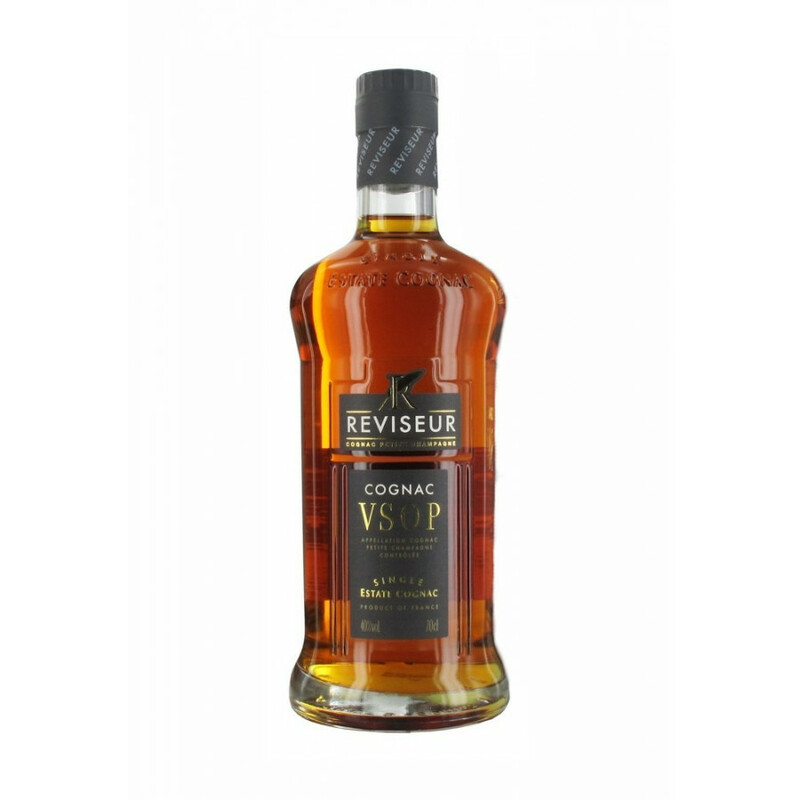 Popular in Eastern Europe and Scandinavia, this great value for money cognac will be a great addition to those in the US who might not yet have heard of the Le Reviseur range. A very versatile cognac - enjoy as either an aperitif or a digestif. For a subtle shift in taste, try on the rocks or with a drop of two of water. And of course, it can always be made into a long drink with your favorite mixer for a refreshing drink on a hot summer's day. Definitely a great cabinet staple. 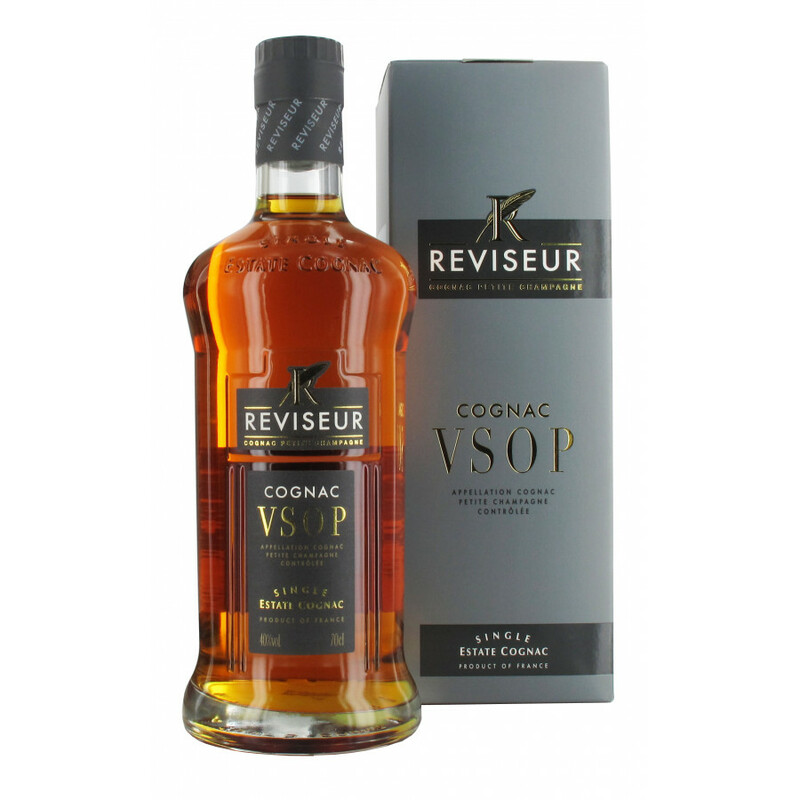 Cognac Le Reviseur consists of a range of single estate cognacs and is part of the Abecassis group. Abecassis also includes the brands Cognac ABK6 and Cognac Leyrat. Particularly well known in Scandinavia, Le Reviseur cognacs are produced purely from fruit grown in the region of the Petite Champagne. The estate Le Reviseur originates from, known as Domaine du Maine Drilhon, covers 60 hectares in the heart of the region, and is part of the larger 250 hectare empire owned by Abecassis.